The question could arise when, like me, a grievance or complaint is filed against your law firm. It was filed shotgun-style against every member of the firm. After meeting to share what facts we knew, we appointed one of our attorneys to conduct an internal investigation and draft a response. What Is An Invisible Gorilla? An invisible gorilla is a popularized way of saying a condition known as inattentional blindness. Inattentional blindness is the failure to notice a fully-visible, but unexpected object because attention was engaged on another task, event, or object.2 Several tests have been done to study this phenomenon with the most popular being the invisible gorilla test. An Invisible Gorilla in a Law Firm? Notice that the test subjects’ failure to see a gorilla walk through the scene was not related to how obvious or outlandish the gorilla was. A bunch of people were passing basketballs and a gorilla walked through the scene, everybody saw that, right? Wrong! What was relevant was the level of attentiveness the subjects were giving to their assigned task – to count the number of passes. The more the subjects concentrated on their assigned task, the less they saw the gorilla in the scene. Maybe not at first glance, but law firms may be particularly susceptible to invisible gorillas. My first mentor encouraged me to start my day as a lawyer as early as possible. His practice was to start the day sometime between 4:00 and 4:30 in the morning. He was convinced that the early morning hours were more productive and that he could give his full attention without distraction. I learned from him that the more undistracted attention I gave to a matter, the better service I provided for my client. 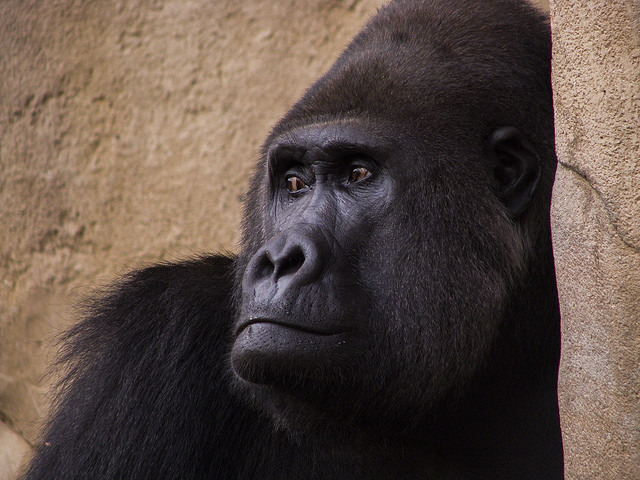 So, if you have several matters that you are responsible for and you are giving each one of them as much attention as they deserve, how many invisible gorillas might be lurking in your law practice? Doesn’t this research seem to indicate that the better service you provide your clients the more susceptible you are to invisible gorillas? Turns out that the attorney that we assigned to investigate was the invisible gorilla. The culpable party was assigned to investigate himself. And, it would be easy to say that is the method: Don’t appoint the culpable to investigate themselves. That may be a method, but it isn’t a certain one. After all, if you knew who the culprit was you probably wouldn’t need an investigation. The certain method is to hire someone outside of the situation to conduct the investigation. Hire someone outside the firm to give their full attention to the investigation. At least two things are accomplished by hiring someone outside the firm. First, their opinions are not colored by the people involved. Second, since they are being compensated for paying attention, they are certain to see the gorillas. Consider using the method in other areas of your life. Where you may have thought that it was easy to split your attention across several things, reconsider. For example, if you read something that consumes your attention while you child is playing at the park, takes someone with you to help watch your child (or make your child the focus of your attention). The examples are endless and one thing is clear. Attention is a limited resource. When you give it to one thing, you take it away from another. Make sure that what you take it away from doesn’t put you at risk of an invisible gorilla. ⟵Who Are the Primary Stakeholders in the Legal Industry?